Nine US research centers that receive millions of dollars in federal funding are being investigated over the mistreatment of primates, prompting calls for the facilities to be shut down. Incidents include the deaths of dozens of monkeys from strangulation, water deprivation and poor handling by staff. Other primates have died while trying to escape, while others have been injured so badly they required amputations. Animal welfare campaigners called the litany of allegations against the research organizations “the stuff of nightmares”. The university and private research facilities hold thousands of primates for research and collectively receive more than $300m in taxpayer money from the National Institutes of Health (NIH). The US Department of Agriculture (USDA) confirmed to GuardianUS that it is investigating the University of Texas, Alpha Genesis, University of Louisiana, Lafayette, Primate Products, University of California, Davis, Texas Biomedical Research Institute, Emory University and the University of Wisconsin, Madison, over potential violations of the Animal Welfare Act. 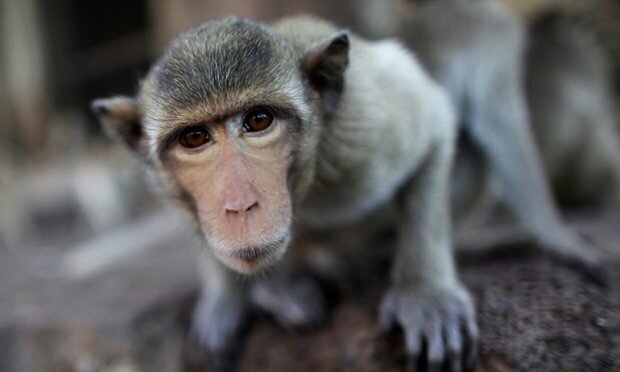 Another facility, Shin Nippon Biomedical Lab (SNBL), is being sued by the USDA over the deaths of 38 primates between December 2011 and May 2016 at its facilities in Texas and Washington. SNBL, which has been fined twice previously for violating animal welfare standards, has “failed to provide adequate veterinary care to animals and failed to meet the minimum standards for its facilities,” according to the lawsuit. The lab failed to properly train staff, treat primate diseases or observe the animals, the USDA claims. Monkeys were regularly housed in squalid facilities and mixed in unsuitable groups, causing fights and injuries. In 2010, four primates attempted to escape, with three dying after becoming entangled in wires or a chain link fence. Three years later, a shipment of 840 long-tailed macaques from Cambodia resulted in 25 deaths after the animals were sent onto SNBL facilities despite being in poor condition. At Emory University, a rhesus macaque was tattooed for identification purposes in January 2015, only to develop respiratory problems and die two weeks later. During a necropsy it was discovered that a rubber band wasn’t properly removed. Another macaque monkey died at Emory earlier this year after a sponge was mistakenly left within the animal following surgery. Last year, 12 primates escaped enclosures at the University of Wisconsin, Madison. Each of these animals suffered injuries, with some losing portions of their tongues and others needing amputations of their digits. In March, a primate fractured both legs after escaping through an unsecured door at University of California, Davis. Another primate was injured following a similar incident at the university in August. In May 2015, a USDA inspection found that staff at Primate Products, a Florida research lab, were removing the teeth of primates by hand, which may cause “unnecessary pain and distress” to the animal. Last year, Harvard University and the University of Oklahoma both decided to wind down their respective primate research programs. The federal government has effectively shut down research upon chimpanzees, allowing many of the apes to be retired to new sanctuaries, but experiments can still be performed upon monkeys and other animals. The USDA has become increasingly assertive in pursuing various institutions for poor welfare standards, however, Santa Cruz Biotechnology simply agreed in May to pay a $3.5m fine and give up its animal dealer license to settle allegations that it mistreated goats and rabbits. Kathy Guillermo, senior vice-president of laboratory investigations at Peta, said: “Experiments on monkeys need to end right now. It’s cruel and it’s bad science. Monkeys suffer like humans but experiments on them usually don’t translate to effective treatments for people. Michael Budkie, co-founder of Stop Animal Exploitation Now (SAEN), said that several of the institutions under investigation have been previously fined and more severe sanctions were needed. “What these monkeys go through is the stuff of nightmares,” he said. “The way these animals die conjures up images that you can’t forget no matter how hard you try. Each of the research facilities were contacted for comment. A spokesman for the University of California, Davis, said it was fully cooperating with the investigation into its work, which includes research into HIV/Aids, Zika, Alzheimer’s and lung disease. A spokeswoman for the University of Wisconsin, Madison said: “UW–Madison has a dedicated and caring staff of scientists, veterinarians, animal care technicians, and others who work daily to provide excellent and compassionate care for animals in our research programs. Alpha Genesis said its animal welfare is “excellent” and performed well in a recent inspection. The other institutions did not respond by the time of publication.